Today I am linking up with Oh' Boy 4th Grade for my first Currently post! Yeah! So this year I finished up with 2nd grade, and will be returning to first grade next year with a new lot of kids. I'm pretty excited! I could TOTALLY be a first grade teacher every year!! I even confessed it to my principal this spring in our spring review. I don't think she will allow that, but at least she now knows. 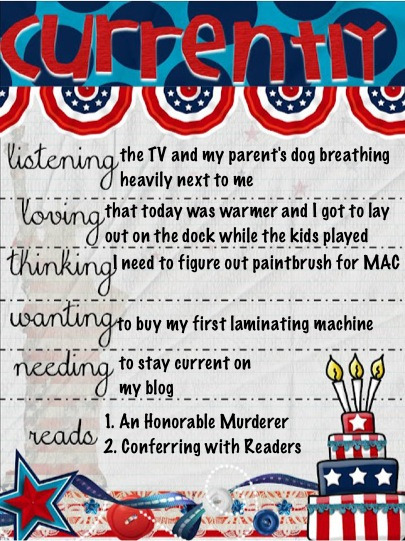 I have been blog stalking first grade blogs, since my current collection of blogs are mostly second grade ones. Don't worry 2nd grade bloggers, I still think you are excellent and full of useful wisdom! I already have lots of ideas for next year. It will be my 3rd year teaching first grade. So I am happy to feel like I have a clue how I want to teach those cuties!!! And when I think about next year, I mostly have been thinking about English. What types of author units I want to do, if I want to subscribe to A-Z reading (and I'm leaning towards it more everyday), how to organize writing and reading in the classroom, and so forth. Here is my currently July! Hello! 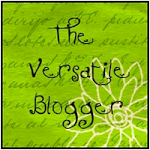 Just found your blog through the Currently linky party! I would LOVE to have my own laminating machine. The one we have at school always ruins my creations! You'll have to blog about it if you get one! Yep, I will definitely take pictures and blog about it! Hi!! You are 2 in front of me on the currently link up! Welcome to first grade!! :) I love it so much! That's great that your school has a subscription. I want the subscription so that I can have more non-fiction readers available for the students. First grade really is fun! thanks for linking up!!! i am wanting my own laminator too!!! You are so lucky to be able to loop. I wish my district would allow us to loop. There was a time when I had the same kids for K, 1st and 2nd. It was great. I especially loved the beginning of the second year because we did need to spend time learning all the routines and procedures. Thanks! I do enjoy it. Some teachers stay with them longer, but two years is good enough for me.